 Granny Fussbudget has been omitting an extreeeeemely salient point when he tells people about the ability to engineer the fabric of spacetime on the laboratory bench. He makes it sound as though it were a German physicist who published the breakthrough paper. Strictly speaking, Kron may have been German-ish, of Austro-Hungarian [now Romania] descent, but he was an American... who worked for General Electric, allegedly hired by them in 1934 because they had been so impressed by this paper. So. If the Nazis suddenly went silent on the matter of the unified field at that time, ripping ahead on the development of their Bell Project, ahem, the U.S. took a different tactic, and that was BS'ing the entirety of American physics about unifying Einstein and quantum mechanics. They're still doing it. And WHAT did they, the United States and General Electric, rip ahead on upon realizing the implications of Kron's paper? 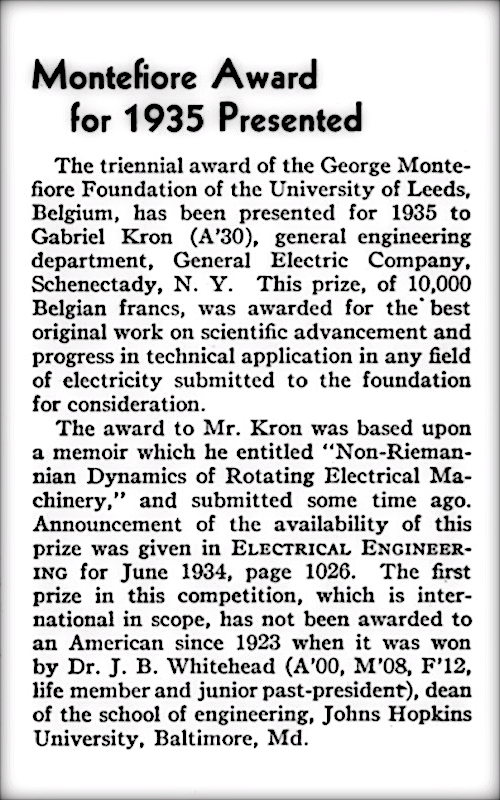 In case you've got the bucks to order it up: Non-Riemannian Dynamics of Rotating Electrical Machinery, Gabriel Kron [1935 Montefiore Prize, University of Leeds, Belgium]. This is the umpteenth time I've caught Granny Nazis Nazis Nazis Fussbudget skirting the matter of the American Nazis who were responsible for putting Hitler in power to begin with. Yes, as today, think George Soros, they're a stateless bunch, no real allegiances to any particular state, but they do have control of our government and our military and our media and our universities and all of the major banks of Western Civilization. Project Paperclip? Just the tip of the iceberg. The Nazi black projects stayed black and they didn't all move to Argentina. Where'd the Bell get to? Somewhere near Kecksburg, Pennsylvania. What has become of it since? Lots and lots of UFOs... and seriously fancy tech that can make molecules want to fly away from each other, and create ugly weather phenomena, and cause earthquakes, and remediate radiation, and cure diseases, and provide limitless energy that costs nothing... that kind of thing. So, when you hear twaddle about "factions of the deep state" you should just whittle that right down to squabbling oligarchs who tell certain [mis]leaders in our government and military what to do — and when you wonder if this is so, why don't they already control the whole world? — that is your cue to drop your American Exceptionalism conditioning and remember that Russians and Chinese are just as smart, and smarter, than we are... and they could read and think and do physics just as well as the Americans and Germans, even back then... let alone the fact that Russia got a bunch of German scientists outta WWII, too. It is alleged, by not very reliable sources, that the work that won Kron his prize, written, sez the not very reliable source, upon his brief return to Romania in the early 30s and printed to distribute to friends, was republished and renamed later, and here it is. I would think it better to refer to the original, though it costs, in case any fuckery or degradation of the original insight slipped in later, but then again he may have improved it later. The title is certainly snappier.